Come with us on a journey back in time. Relive the days of swords and spears, when William Wallace and Robert the Bruce forged a nation and conquered the English army. Our first stop is the site of the 1314 Battle of Bannockburn. Learn about Robert the Bruce’s importance as King of Scots. You then visit Stirling, the ancient capital of Scotland and see Stirling Castle towering over this historic city. Take a moment to remember one of the most famous battles from the film Braveheart. But with us you will hear the truth about what happened here and see where the battle really took place. Finally, gaze up at the William Wallace Monument, a symbol of Scottish nationalism. Now take a journey through Scotland’s mystical lands, full of legends. We head towards Aberfoyle and The Trossachs National park. Walk along the Fairy Trail and discover the secrets of this enchanted forest. This region has inspired poems and novels. We pass through the lands of Rob Roy (1671-1734) another hero whose life has been told through books and more recently a film starring Liam Neeson. Breathe in the pure Scottish air, as you stroll along one of the most beautiful lochs in Scotland, Loch Katrine. Hairy cows await you along the way, as you head towards the last stop of the day Doune castle. This castle was made famous by Monty Python and is also Castle Leoch in Outlander. We stop where you want! In addition to the programmed stops, we will also pull over (if possible) where you like so you can get the best photos! We don’t follow a strict itinerary with fixed stops. 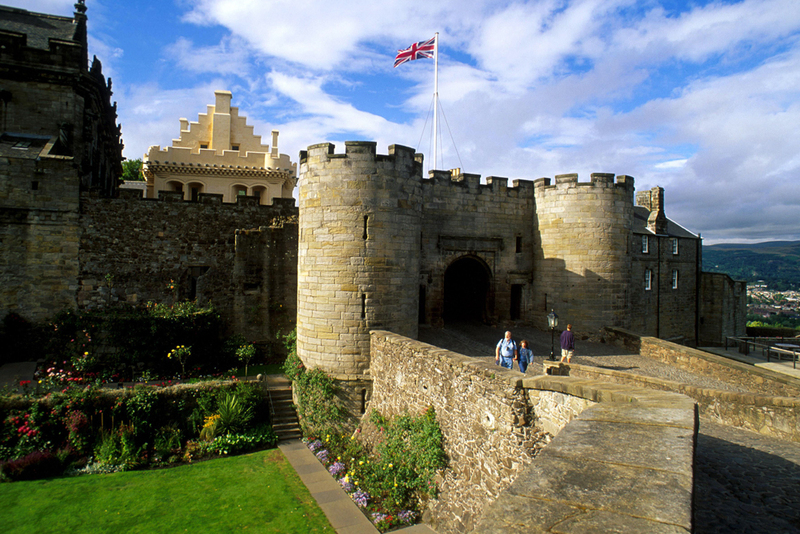 Stirling Castle is one of the most famous and important castles in Scotland. 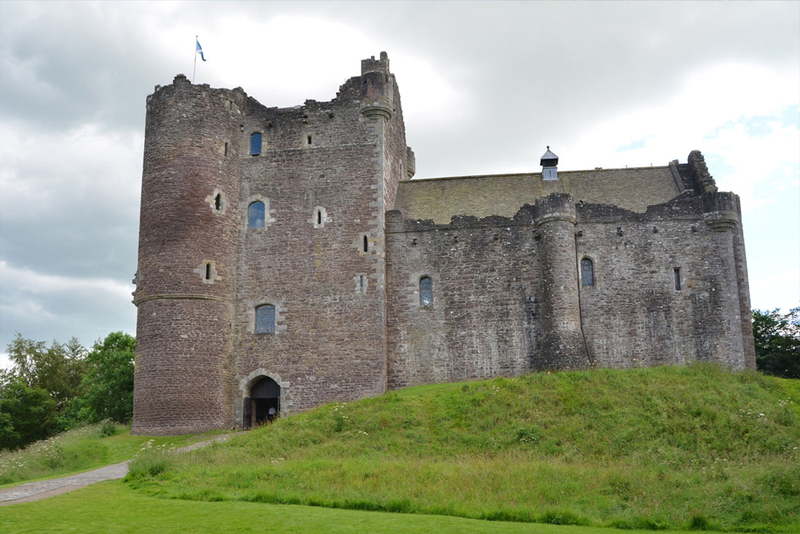 Doune castle has appeared in the television series Outlander and Game of Thrones. Scotland Tours was born to offer guided tours in Spanish, English and French, routes and personalized quality trips in Scotland.